View Cart “The 50 Greatest Players in Dodgers History” has been added to your cart. Have you considered training for a triathlon? Triathlon: Starting Out will help you get started on the triathlon journey smoothly. This book has the information you need to begin this rewarding sport. Triathlon is more than the sum of its parts. You know that the triathlon is made up of running, swimming and cycling, and you can swim, cycle, and run but you need more to become a triathlete. This easy-to-understand introduction to the sport is what you need if you want to prepare for your first triathlon. Triathlon experts, Roch Frey and Paul Huddle are two of the most respected names in multisport coaching. SKU: ZM50952. Categories: Triathlon, Sports & Recreation. Tags: beginner training, competition, multisport, Triathlon. Have you considered training for a triathlon? Triathlon: Starting Out will help you get started on the triathlon journey smoothly. This book has the information you need to begin this rewarding sport. Triathlon is more than the sum of its parts. You know that the triathlon is made up of running, swimming and cycling, and you can swim, cycle, and run but you need more to become a triathlete. This easy-to-understand introduction to the sport is what you need if you want to prepare for your first triathlon. Triathlon experts, Roch Frey and Paul Huddle are two of the most respected names in multisport coaching. They cover all the bases in Triathlon: Starting Out to not only get you to the starting line, but also help you get past the finish line of your first race. Within the pages of this book contains information on everything from weight training to flexibility. It even includes instruction on nutrition. Detailed workout schedules for the sprint and Olympic distances to guide you through your training period are also included. 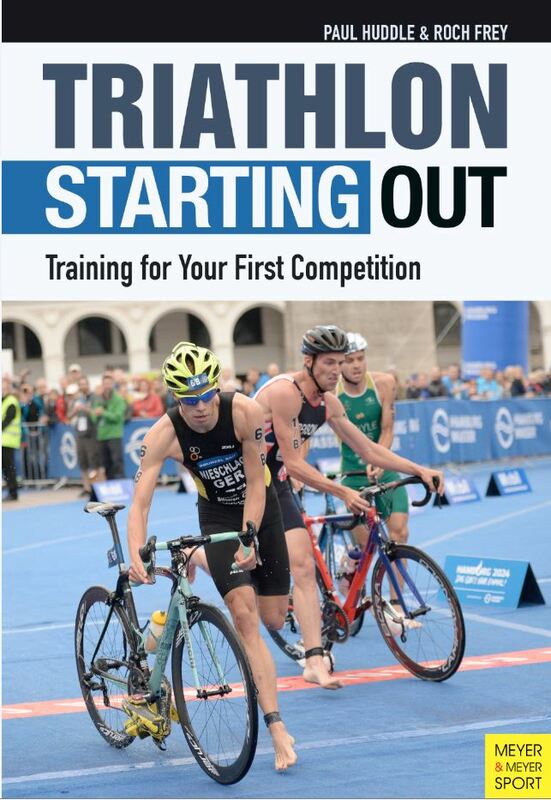 Triathlon: Starting Out is an easy-to-use training book that will help you visualize the race and make it to the finish line. Your confidence will be built up to become the triathlete you desire to be with Roch and Paul at your side, you can do a triathlon! During his 12 year career as a professional triathlete, Paul Huddle finished over 20 long-distance events and well over 300 triathlons. As part of Multisports.com, Huddle is involved in production, administration, and instruction at triathlon camps and clinics all over the world. A former professional triathlete from Canada, Roch Frey has been involved with triathlons for over twenty years. After winning the Canadian Long Course National Championships in 1993, he turned to full-time coaching and combined forces with Paul Huddle, Paula Newby-Fraser, and John Duke to create Multisports.com.